St Louis Bankruptcy: What If I Fall Behind On My Chapter 13 Plan Payments? If you fall behind on two months of your St. Louis Chapter 13 plan payments, then the Bankruptcy Trustee will file a Motion to Dismiss your case (for failure to make payments). Just because the Trustee files such a motion does not automatically mean that your case will be finished. Indeed, there are several options at that point to get caught up. A Chapter 13 is described as a repayment plan over the course of three (3) to five (5) years during which certain debts are paid back. These debts would include mortgage arrearage (i.e. the amount that you have fallen behind on your house payments), car loans (but using the court’s interest rate of 4.75%), tax debt (including income, personal property, sales, and real estate taxes), back child support, and possibly a portion of your unsecured debt (such as credit cards, medical bills, and payday loans). 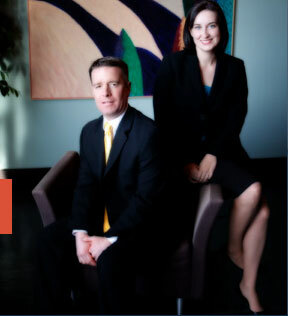 In order to pay all of that back, your St Louis bankruptcy lawyer will create a repayment plan. Each month, you make a payment directly to the Bankruptcy Trustee (who then pays out an appropriate amount to each creditor in your plan). And if you for some reason fall behind on those payments, then the Trustee will send you a notification letting you know that if you fall behind too much, he will file a Motion to Dismiss. A common scenario would involve the following: you lose your job (or your hours are cut back), and as a result of this loss of income, you fall behind. But then you get another job (or you get back your regular hours). In this kind situation, the court will allow you to get caught up over a period of time (so long as you are able to do so within a reasonable amount of time, like three to four months). The court wants you to succeed in your Ch13 plan, so it will usually provide you with a sufficient amount of time to get caught. But the court also wants to see that there is a reasonable effort to do so. Learning what your options are in a Ch13 (or even how the whole process works) is possible by speaking with an experienced attorney!! We want to make sure you understand your full range of options, answer all of your questions, and help guide you through the entire process (from start to finish)! !